One of the trickiest tasks in moving towards a Transport Paradise is adapting main roads so they are pleasant enough places for adults to choose to cycle. The critical things appear to be providing some form of clear space for cycling alongside traffic, and removing gyratories and tightening the geometry of roundabouts. Oxford has progressed further with providing cycle lanes, removing gyratories and tightening roundabouts than any other UK city. 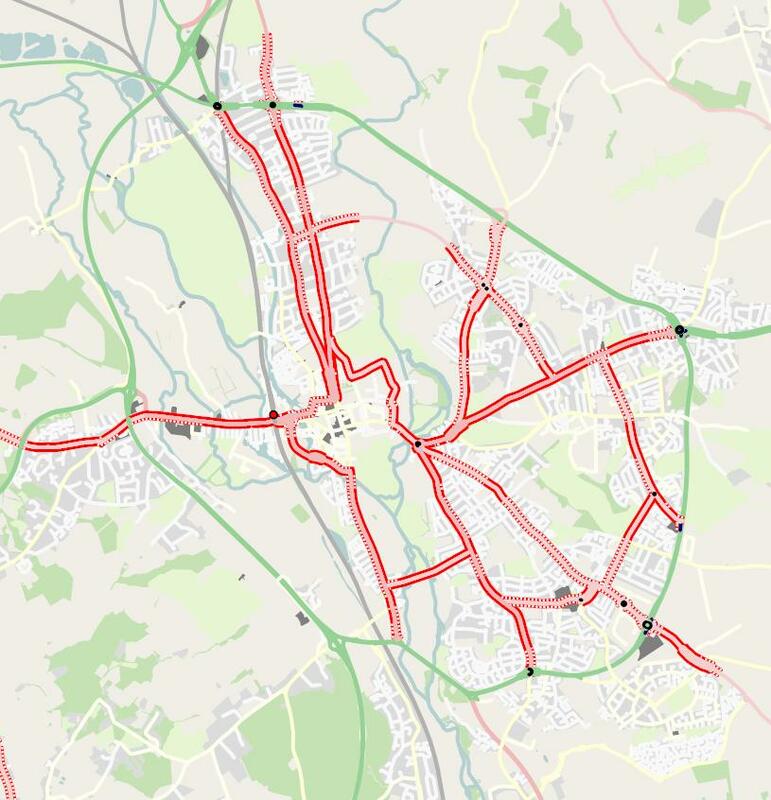 On the map above, urban main roads are shown with dotted or solid red lines next to them. Solid red lines show where there are cycle lanes (or priority cycle tracks). Roundabouts are marked in black (unless they have priority tracks or tight geometry), and gyratories are in blue (there aren’t any). In terms of making its main roads cycle-friendly, Oxford is just over half-way. There are quite a lot of cycle lanes, no gyratories, and few roundabouts. A key roundabout at the centre of the map has been partially tightened.